Swing-Hinged Floodgates are designed for settings where a quick response to flood is much needed. They are best installed on an entry point with a sill (elevated ground surface). Thus, they are perfect floodgates for homes or even for large industrial areas. 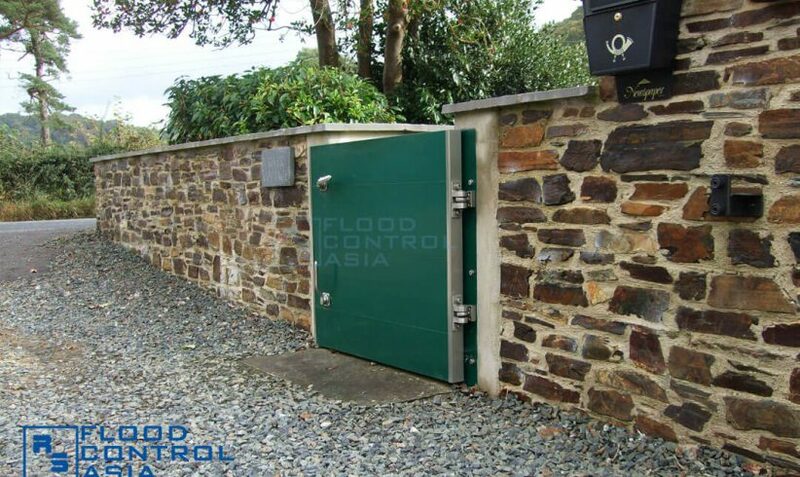 The swing-hinged type is an ideal floodgate for homes with existing concrete walls but is lacking of a flood protection system. The Swing-Hinged Floodgates can be used all-year round as a permanent gate for homes. 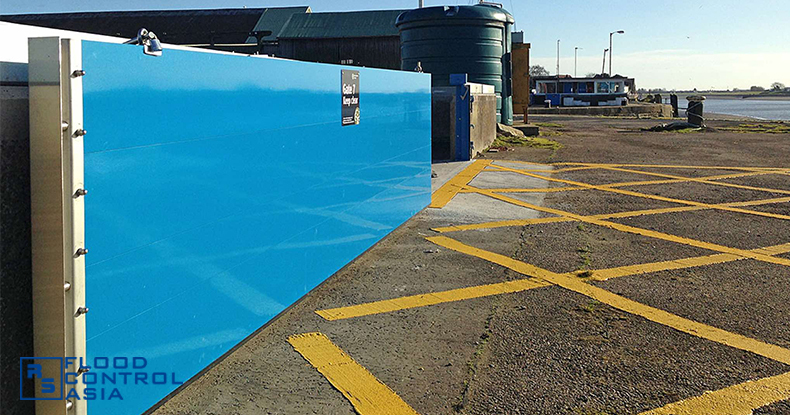 Since they are a quick response to flooding, the Swing-Hinged Type can also be installed on floodwalls or seawalls with openings. These are the Perfect Floodgates for Homes and Industries! These floodgates are made of construction-grade steel, but are lightweight and easy to manipulate. They can be opened to a 180-degree swing. This width of opening can be extended to a 270-degree arc, making the swing-hinged type an excellent residential floodgate. As with other RS Flood Control solutions, Swing-Hinged Floodgates are 100% resistant to corrosion. There is an option to have them powder-coated to reinforce their resistance to salt water and other abrasive substances. The swing-hinged type allows a quick response to flood due to its lightweight nature. An ideal floodgate for homes, the swing-hinged type can be opened to a 180-degree arc, and can be extended to 270 degrees. Their hinges are phosphor-lubricated; thus, allowing a smooth sweeping motion when the floodgates are opened. Swing-Hinged Floodgates are not just a quick solution to flooding. They are also corrosion proof and durable, as they are made of T6-grade stainless metal. These residential floodgates can be powder-coated to reinforce their resistance to salt water and other abrasive substances. 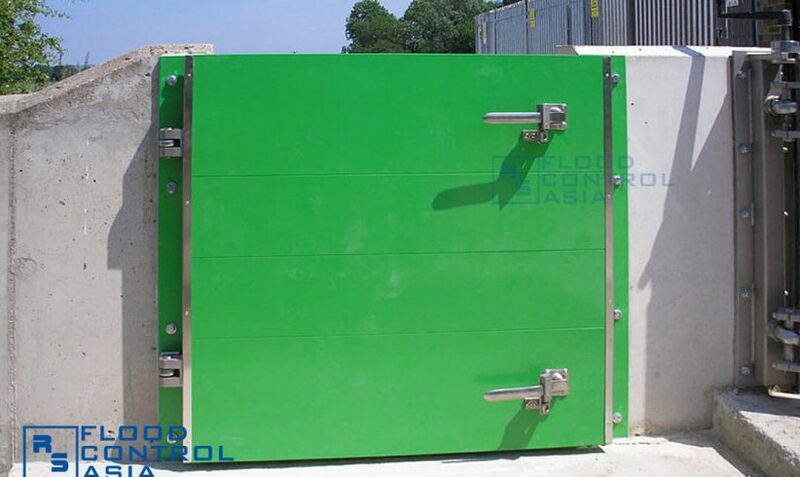 Aside from being a quick solution for flooding, Swing-Hinged Floodgates can also be used to contain chemical spills, primarily due to their high-quality rubber seals. 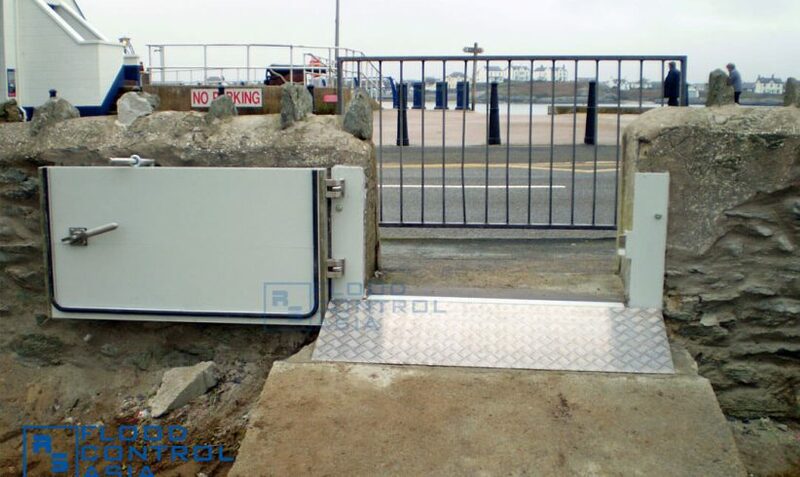 Through their lockable handles, Swinged-Hinged Floodgates are themselves tamper- and theft-proof. The swing-hinged type is an ideal floodgate for homes. 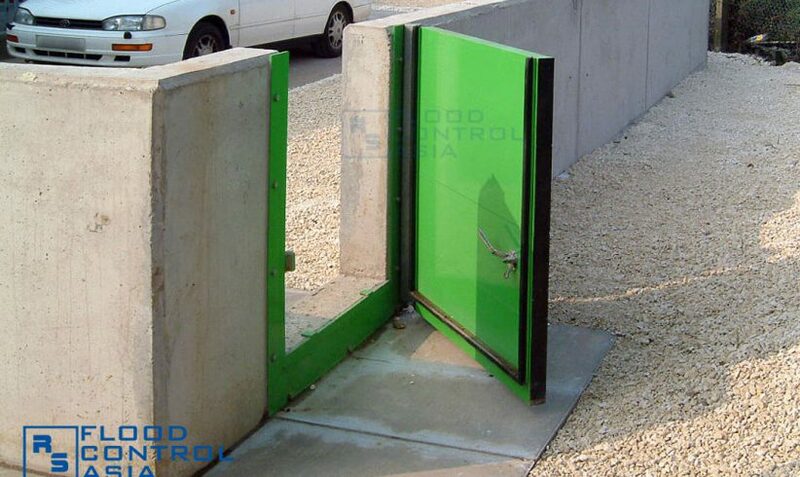 Aside from being a perfect residential floodgate, they can also be used to protect business establishments. They fit perfectly on pedestrian entrances that have steps or ramps. These Swing-Hinged Floodgates, which are a quick solution to flooding, can also be installed on floodwall’s gateways. Since they are a quick response to flood, they can be used as gateways on ground-level entrances with sills. 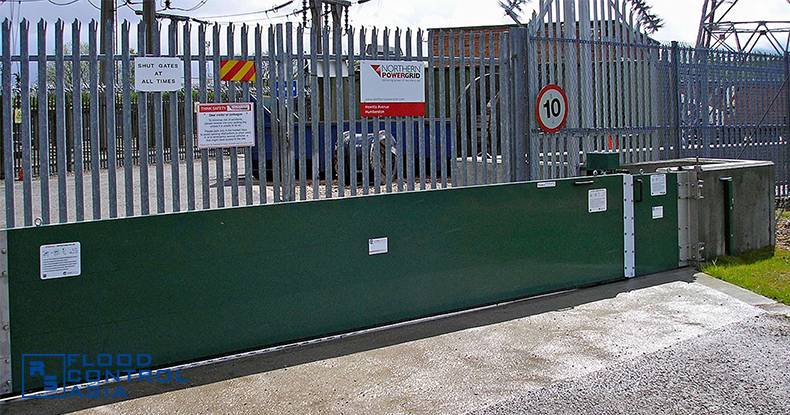 How can the Swing-Hinged Floodgates provide ultimate protection? 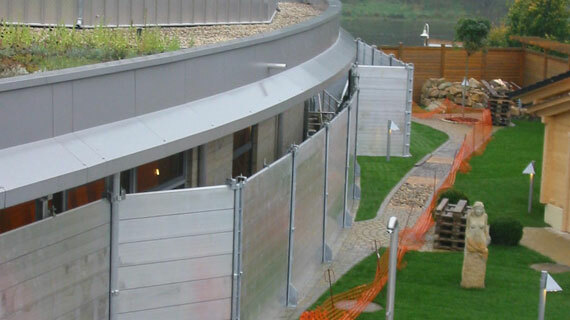 This residential floodgates are permanent protection against flooding incidents. Once the lever-like handles have been flipped down to lock the gates, the rubber seals on the gates’ edge will compress to prevent floodwater from seeping in. Aside from being a permanent flood protection, the Swing-Hinged Floodgates can also serve as permanent gates for homes. Can the Swing-Hinged Type Provide Quick Response to Flooding Incidents? Yes, the swing-hinged type are designed for quick but effective response to emergency situations. Within a few seconds from the onset of flooding, home or business owners can secure their perimeters by simply locking the floodgates. The gates can be easily opened and closed as they are extremely lightweight. Can the floodgates provide protection for extreme conditions? The floodgates are 100% corrosion-free. They are made from T6-grade stainless metal, making them invulnerable to any abrasive substance. They can also be painted through the powder-coating technology to reinforce their resistance to corrosion. How can we prove the durability of these Swing-Hinged Floodgates? 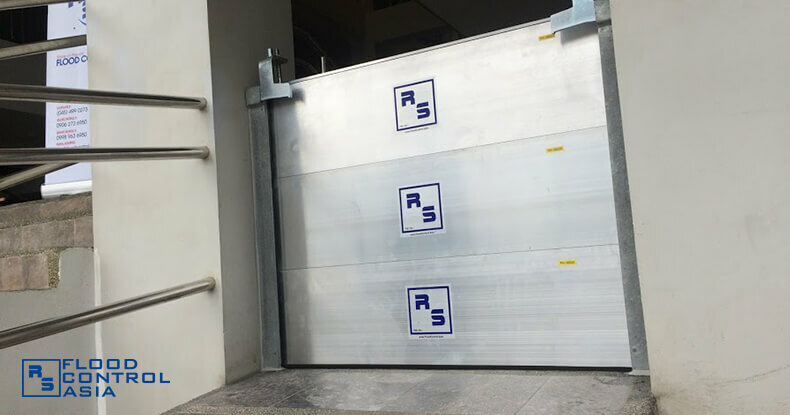 Like all other RS products, the Swing-Hinged Floodgates have been tested and approved by FM Global, one of the world’s most renowned accreditor of risk prevention systems. Where can the Swing-Hinged Floodgates be installed? They are best for homes, for business establishments (like warehouses), for pedestrian entrances that have stairs or ramps, for floodwalls, and for ground-level entrances with sills.